Score Predictor Is Back!! Win over £500!!! Once again this season SuperLeigh will be once again running the popular score predictor this season. 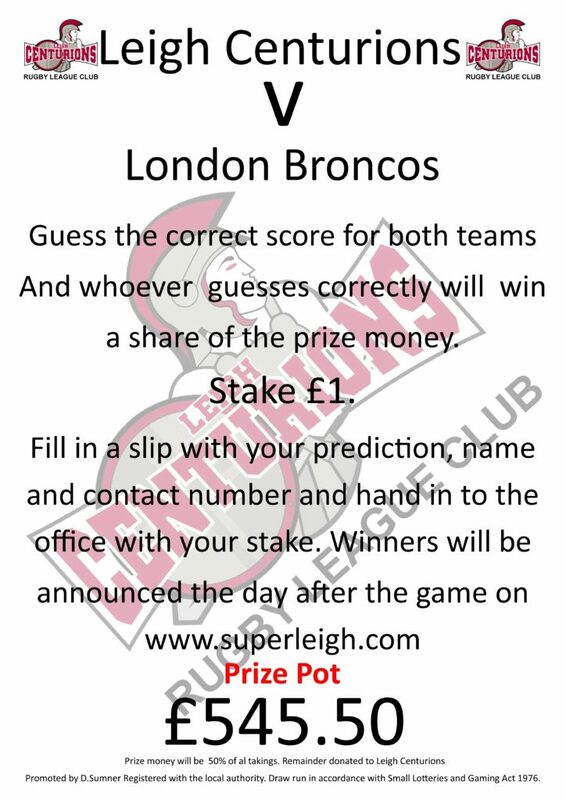 Last year we raised almost £1,500 for Leigh Centurions along with the help of our loyal supporters.You simply guess the score of our game each week and if your correct you share the prize pot that currently stands at £545.50 All profit goes to Leigh Centurions. You can participate at The Boars Head, The Centurion, The Britannia, the SuperLeigh office at the stadium or The Retail outlet on Leigh Market.